There is significant interest in IoT, with 91 percent declaring interest in the connected home, but tech companies may be focusing on the wrong types of devices as they look to bring smart technology into the home, according to a new survey. New research, from payments technology company Judopay, shows that just 17 per cent of those surveyed – the same percentage as said they weren’t likely to buy any smart technology in the future – said they were likely to invest in smart assistant devices such as Amazon Echo, Google Home, or Apple HomePod. More than double that figure (35 percent) likely to buy smart heating devices. Smart entertainment devices, smart lighting, smart white goods and smart security all ranked higher than smart assistants in a list of connected home devices consumers were likely to invest in. Additionally, the research shows that overall intent to purchase a connected home device is high, despite the nascent state of the connected home industry. Over half of people (52 percent) intend to invest in smart home devices in the next five years. Yet consumers cited cost (55 percent) as the most significant barrier to adoption and far greater than hacking. –	You cannot be Siri-ous! –	Majority set to buy devices – but at what cost? Ryan Farley, CEO at payments technology company Judopay, said, “The research clearly shows that there’s a huge growth opportunity for connected commerce. 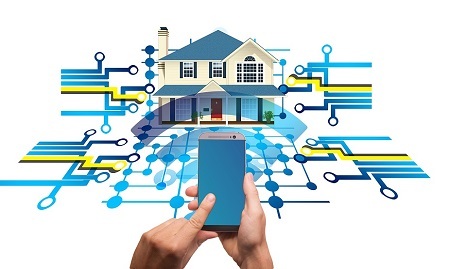 Especially amongst the under-55s, there’s appetite for greater use cases for tons of IoT devices, even at this early stage for the connected home industry. As with any nascent technology, costs – which are currently consumers’ biggest barrier to investing in smart tech – will come down. Yet if we’re to realise the potential of the smart home and reach mass adoption, we have to educate the public on how these devices can offer them a more seamless, secure and enjoyable life around the home. With payments through smart technology predicted to jump from $2bn to $22bn by 2022 in the US alone, the research also explores consumer interest in payments through devices. Connected commerce, as it’s dubbed, is seen by the retail and tech sectors as an imminent and significant growth area as consumers increasingly use their devices to buy everyday goods and services. Nearly 6 out of 10 people (57 per cent) said they would find it useful to pay for things through a smart device, a number likely to rise significantly as adoption grows and consumers can see the benefits of seamless commerce first-hand. There’s a gender disparity in terms of connected commerce that brands and businesses will need to overcome, with 67 percent of men surveyed saying connected home payments would be useful, compared to just 53 per cent of women. Of note, more people said they would find it useful to pay for things through a smart TV (27 percent) or smart fridge (26 percent) than a smart speaker (21 percent), suggesting voice commerce has a way to go. Ryan Farley added, “No doubt that connected commerce will be the next big payments disruptor, in the same way ecommerce and mcommerce have radically transformed the world of payments. Yet in the same way some doubted the likes of Dominos when they made their big ecommerce play, or those who never saw Uber taking off on mobile, there’s still a huge education piece to be done in the industry about why businesses of all shapes and sizes need to be factoring in the vast potential of connected home devices. They won’t just speed up our day-to-day routine, the connected home will also make it quicker and easier to get hold of the things we need, when we need them, with no pain points. We’re excited to be part of the move into this space and look forward to seeing how we can take the innovations that drive amazing experiences on mobile into devices that can provide even more utility to all of us around the world.